In many ways, nuclear power stations are similar to other types of power generation: a turbine is made to spin, and in doing so it produces electricity. Though there are some differences in how the turbine is made to spin, this is essentially the same for coal, gas, wind, tidal and many other forms of power generation. Those types known as thermal generation - primarily nuclear, coal and oil and some gas – achieve this by heating water to produce steam, which is then passed through the turbine causing it to spin. 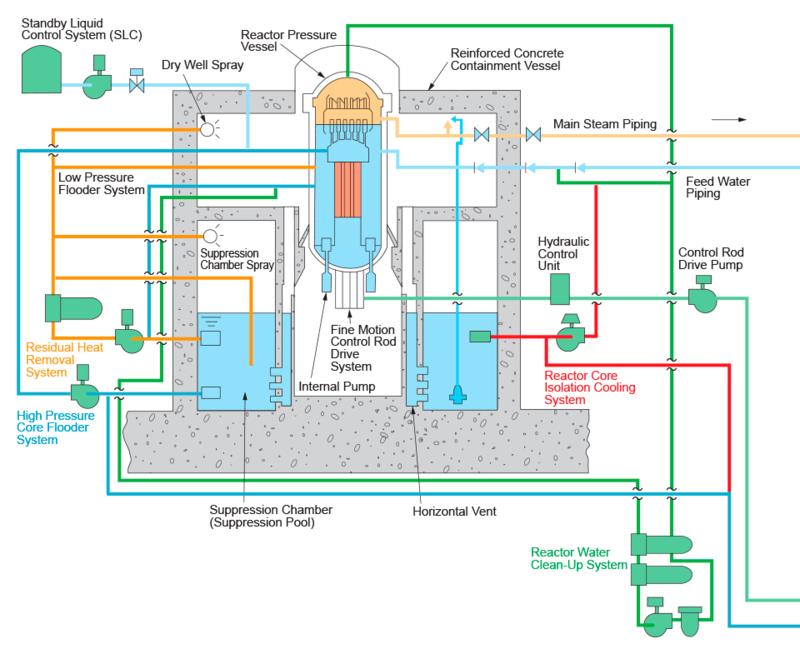 In a nuclear power station, a nuclear reaction is simply used to generate the heat, which boils the water to produce steam. There are various types of nuclear reactors around the world, with over 400 reactors in operation globally. 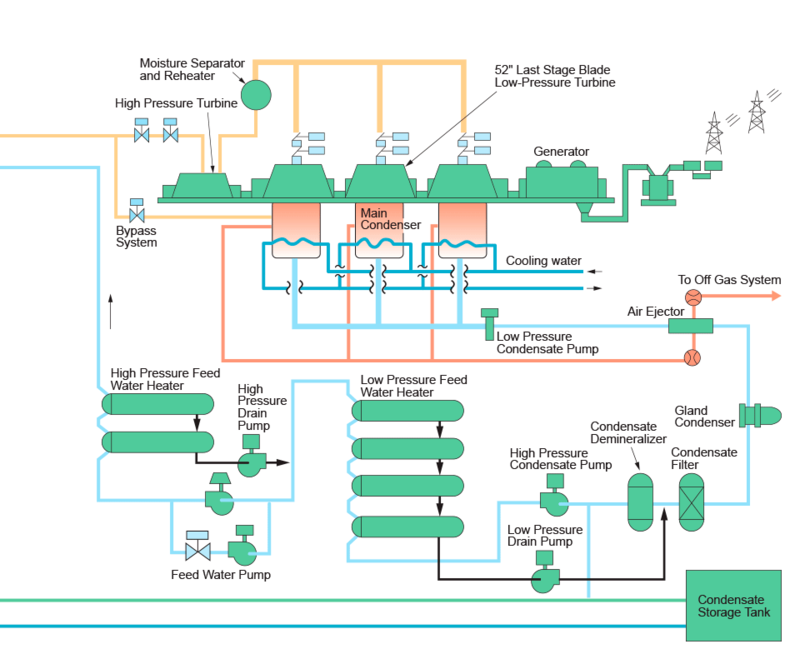 One of the most common types is the Boiling Water Reactor (BWR), of which the Advanced Boiling Water Reactor (ABWR) is the latest design in operation. BWRs are known as direct cycle reactors, meaning they work by passing the steam which has been generated inside the reactor directly to the turbine. The table below demonstrates this process. The ABWR is a generation III+ (Gen. III+) reactor, the most modern operational generation of nuclear power plant designs. The ABWR is the most well-established Gen. III+ technology operating anywhere in the world. For a more comprehensive breakdown of the ABWR and its systems, download the Hitachi-GE ABWR promotional brochure, available as a PDF.